matar kulcha recipe | chole kulche recipe | kulche chole recipe with detailed photo and video recipe. matar chole or white peas curry is perhaps one of the popular north indian or delhi street food curry recipe. this unconventional white peas curry is famously served with plain kulcha and hence the word kulcha is associated with its name. matar kulcha recipe | chole kulche recipe | kulche chole recipe with step by step photo and video recipe. even though it looks like just another curry but has a lot to offer with its combination of taste. these curries are often found more on streets rather than fine dine restaurants and hence it is termed as matar ki chaat or matar chaat. the combination of kulcha and matar chole is lip smacking but the curry can be served by itself with sev, onions and tomatoes dressing as chaat recipe. the recipe of chole kulche is almost synonym to chole bhature which again hails from the same north indian cuisine. 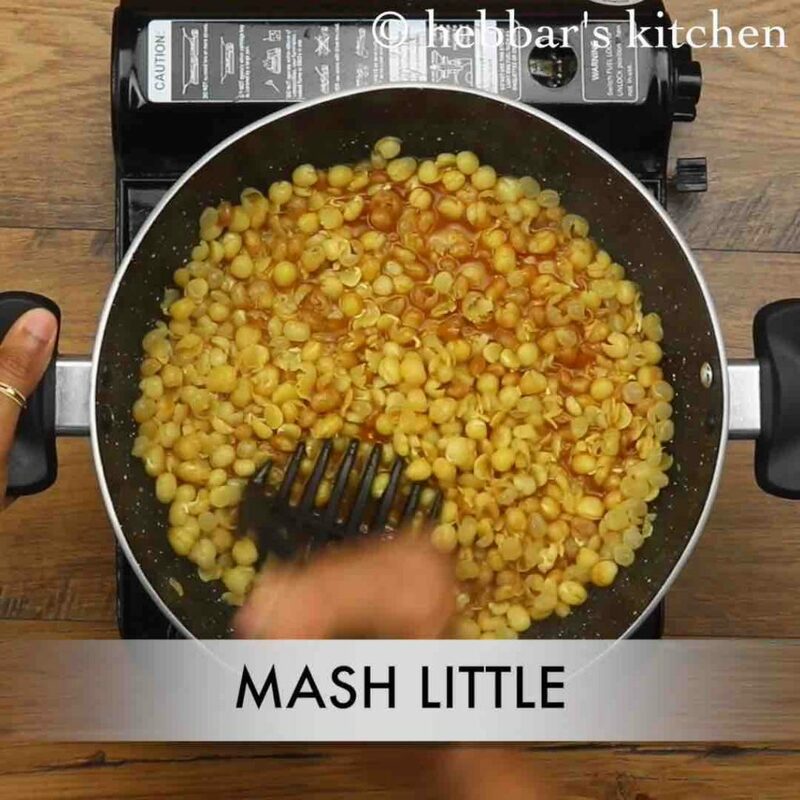 having said that matar ki chaat recipe is also similar to the famous bangalore chaat – masala puri recipe. in fact i find lot of similarities between these 2 recipes apart from the common white peas used in both recipes. both the recipes are served with freshly chopped onions and tomatoes as toppings with fine sev and chaat chutneys. but the spices added while preparing these curries are completely different and perhaps derives a totally different. in addition the masala puri is served with crushed puri as a base whereas chole kulche recipe does not contain it. 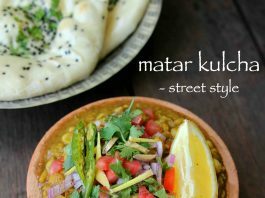 lastly, matar kulcha can be easily served as both curry and chaat recipe with any choice of bread which makes it more versatile. 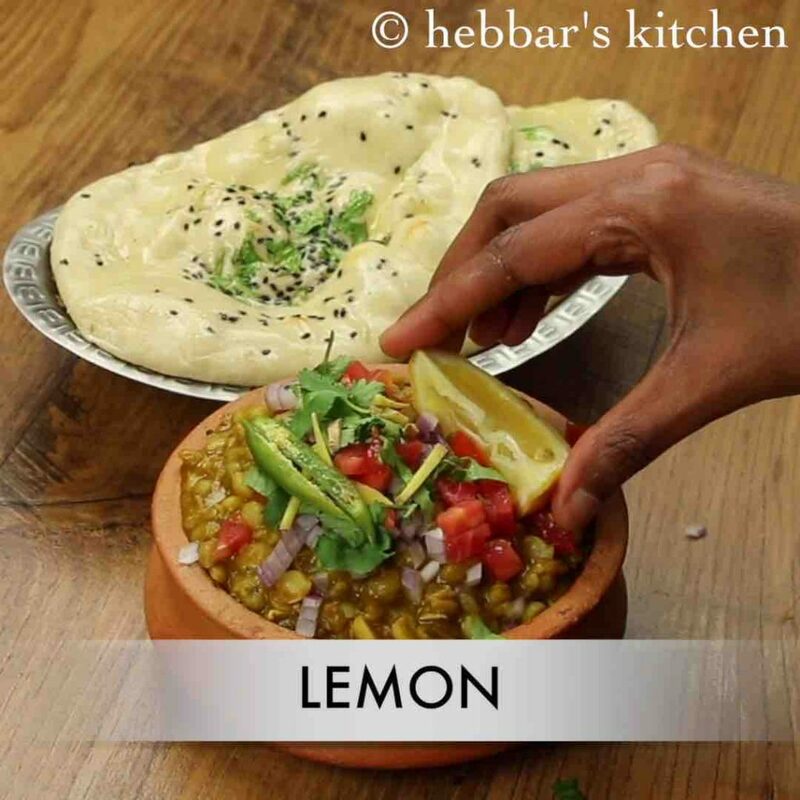 furthermore, some important considerations and tips for a perfect chatpata matar kulcha recipe. firstly, the white peas has to be soaked overnight or for a minimum of 8 hours so that they almost double in their size. alternatively you can soak in warm water which should cut down the soaking time by atleast 2-3 hours. secondly, the chole kulche recipe tastes good with the choice of kulcha’s like, aloo kulcha, paneer kulcha and plain kulcha. but it also tastes great with other types of bread like garlic naan, tandoori roti and rumali roti. lastly, the consistency of the curry has to be somewhat between thick to semi thick with peas not turning mushy. 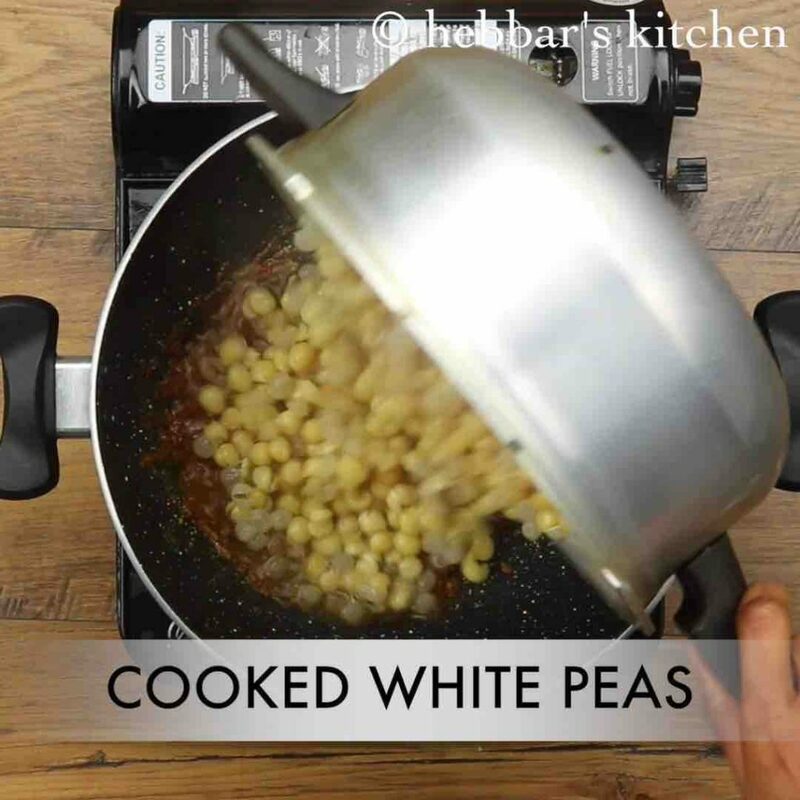 firstly pressure cook 1 cup white peas, 2 cup water and ½ tsp salt. 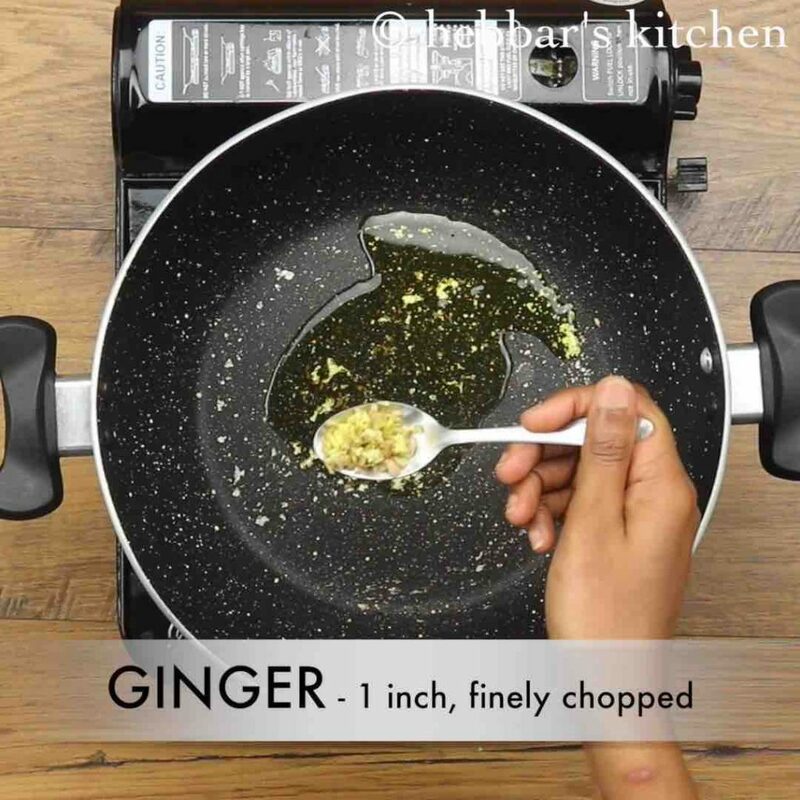 now in a kadai heat 3 tsp oil and saute 1 inch ginger. additionally add in pressure cooked white peas and mix well. mash slightly for desired consistency. now add in prepared jaljeera chutney and mix well. 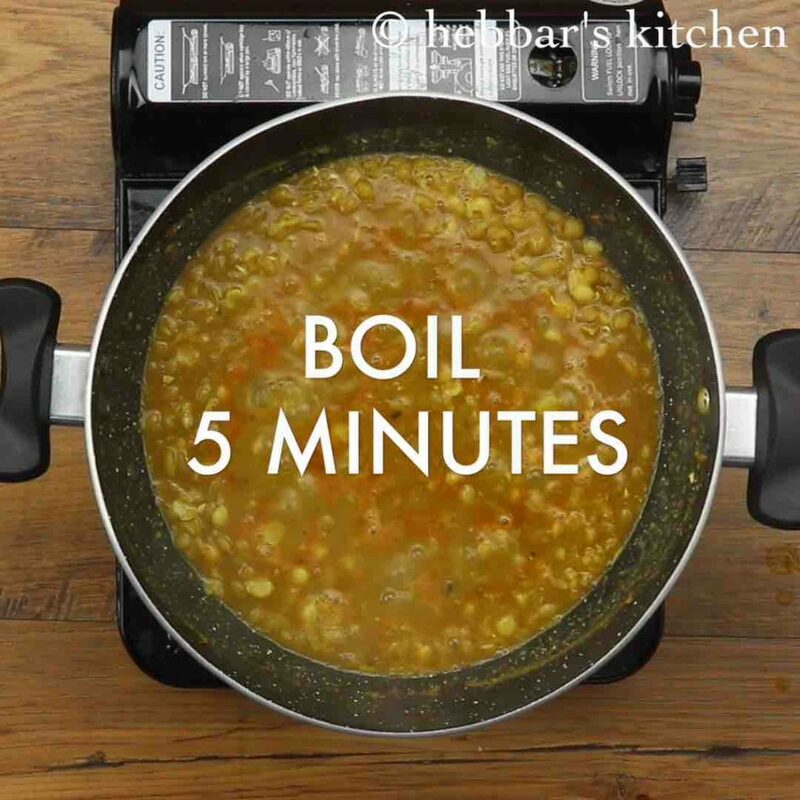 boil for 5 minutes or more adjusting consistency. 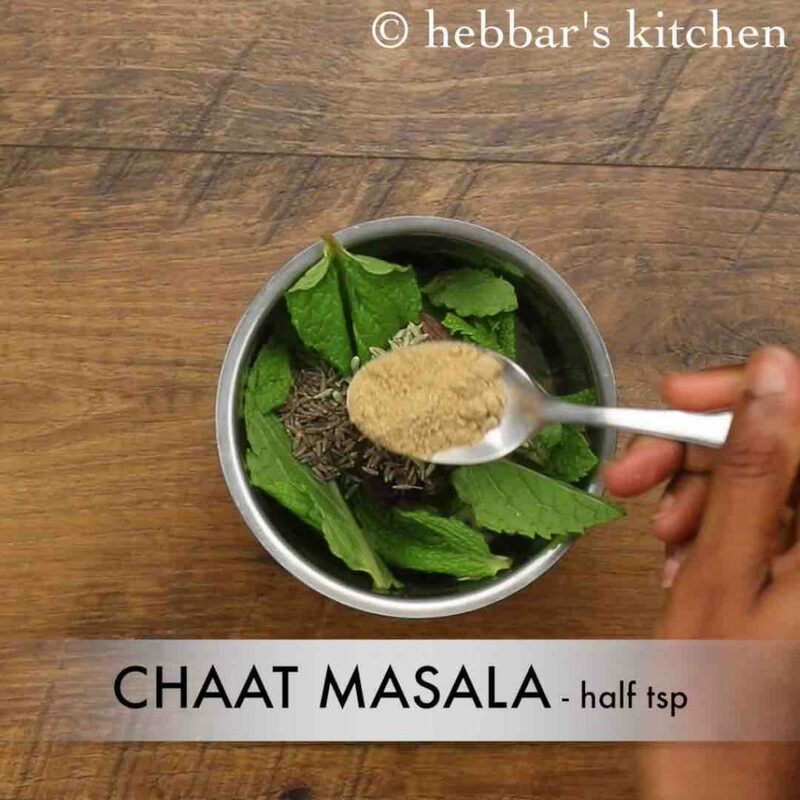 garnish with onion, tomato, coriander leaves, ginger, green chilli, lemon and chaat masala. 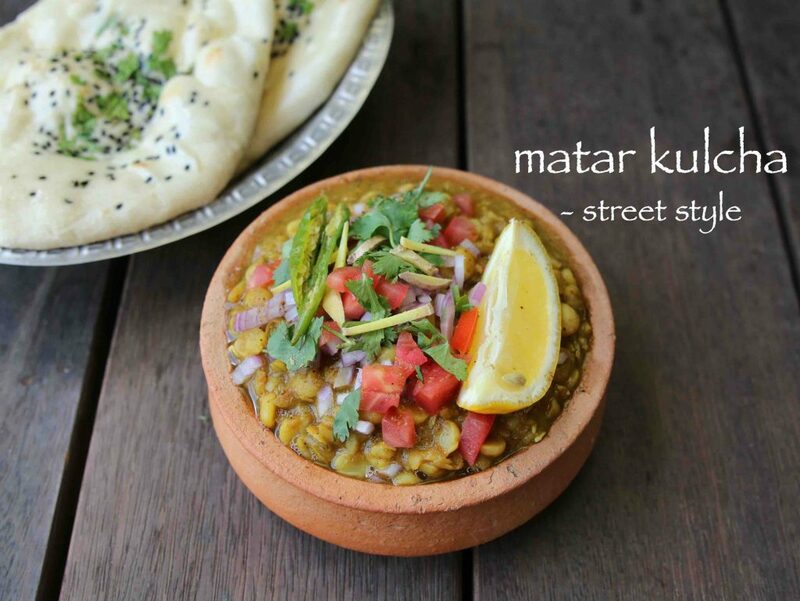 finally, serve matar kulcha recipe with plain kulcha or naan. 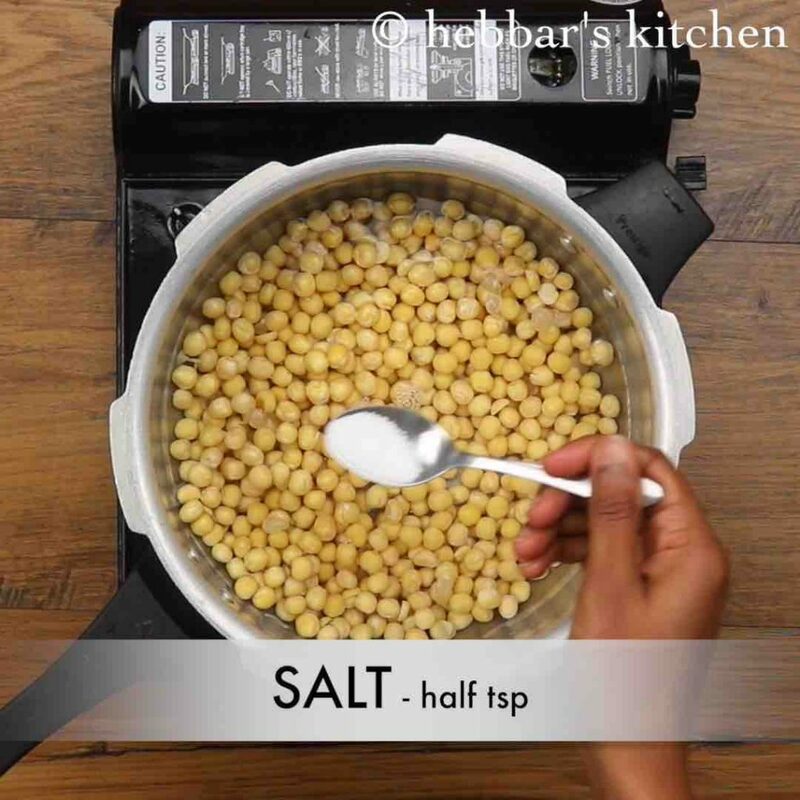 firstly in a pressure cooker take 1 cup white peas, 2 cup water and ½ tsp salt. 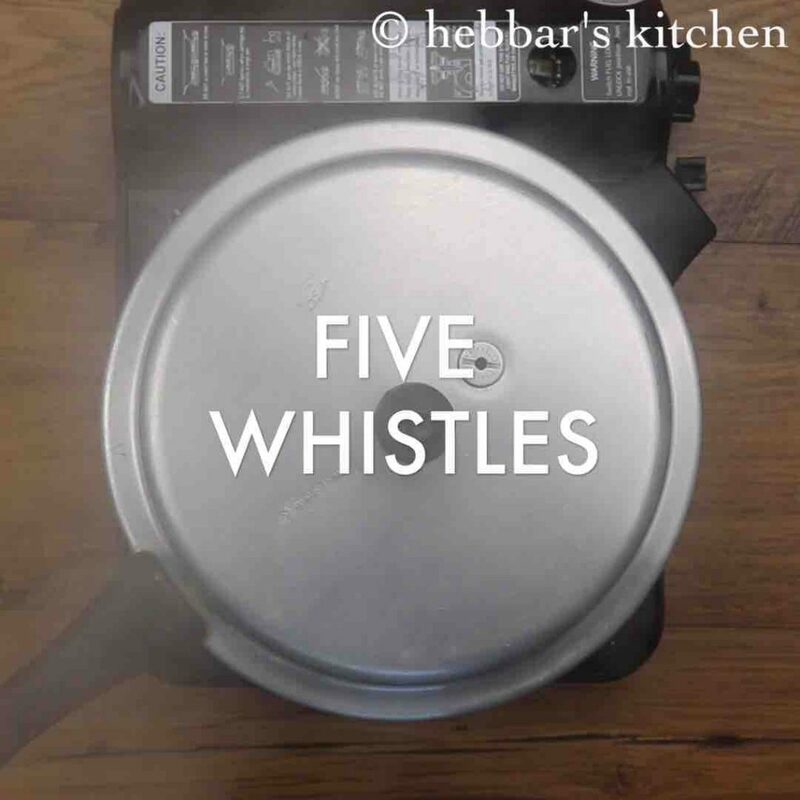 pressure cook for 5 whistles or till peas gets cooked well. 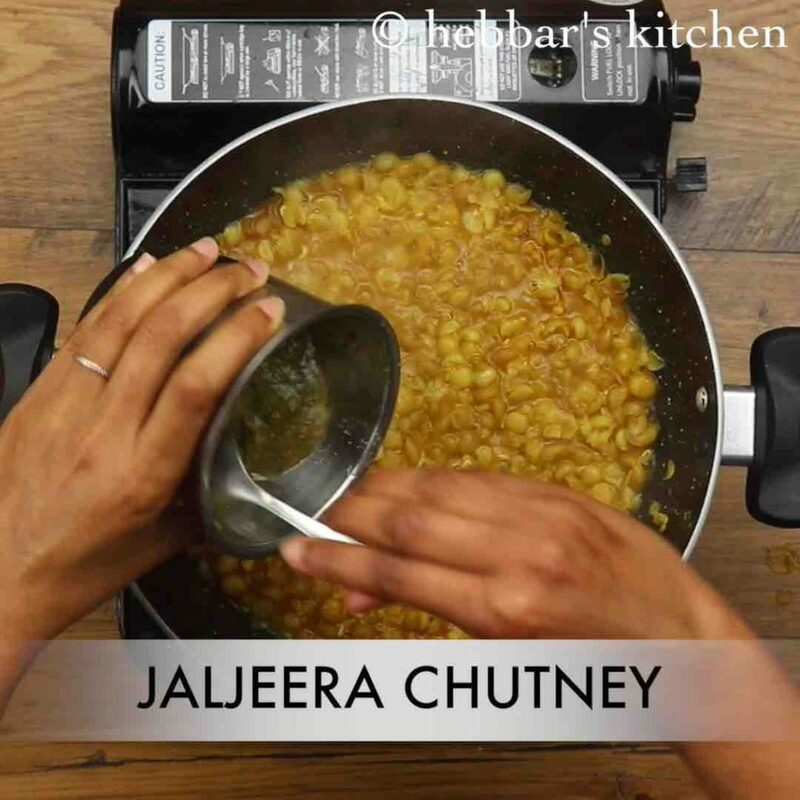 meanwhile prepare jaljeera chutney by blending handful pudina, small piece tamarind, 1 pod black cardamom, ½ tsp pepper, ½ tsp cumin, 1 tsp saunf, ½ tsp chaat masala, ½ tsp aamchur, ¼ tsp salt. blend to smooth paste adding 2 tbsp water or more. 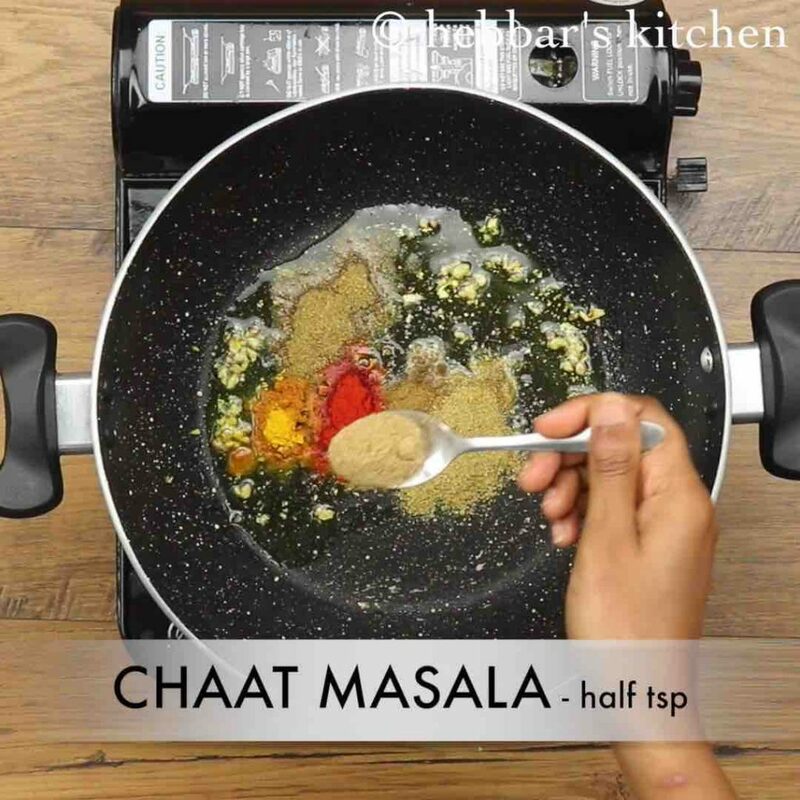 further saute ¼ tsp turmeric, ½ tsp chilli powder, ¼ tsp cumin powder, ½ tsp coriander powder, ¼ tsp garam masala and ½ tsp chaat masala. furthermore, transfer the matar kulcha into bowl and garnish with 2 tbsp onion, 2 tbsp tomato, few coriander leaves, 1 inch ginger, 1 green chilli, ¼ lemon and pinch of chaat masala. firstly, soak peas / matar overnight else it will not turn soft when cooked. 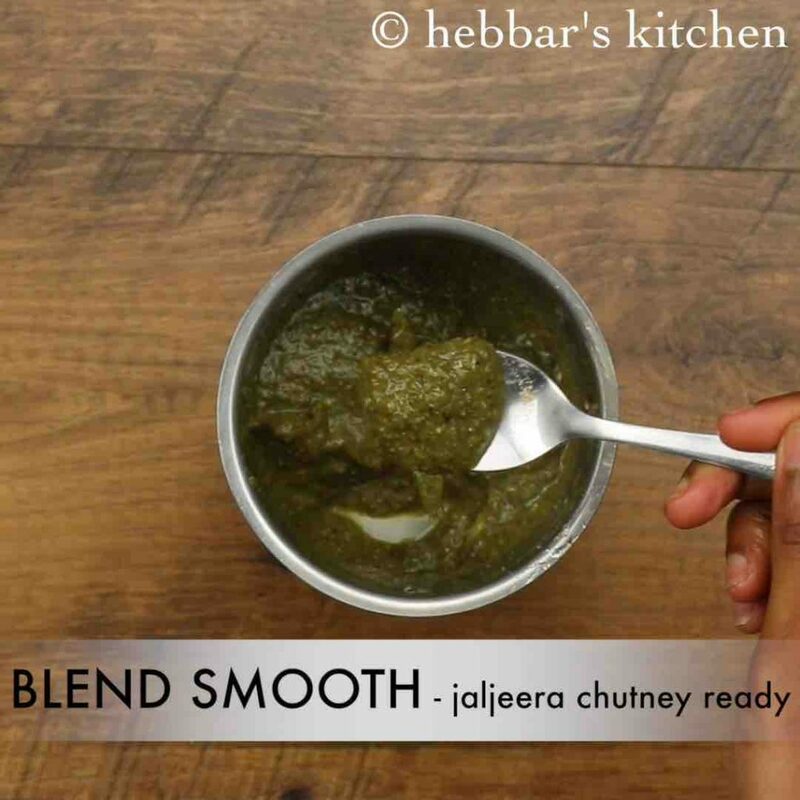 also, use store brought jaljeera chutney or prepare them freshly. 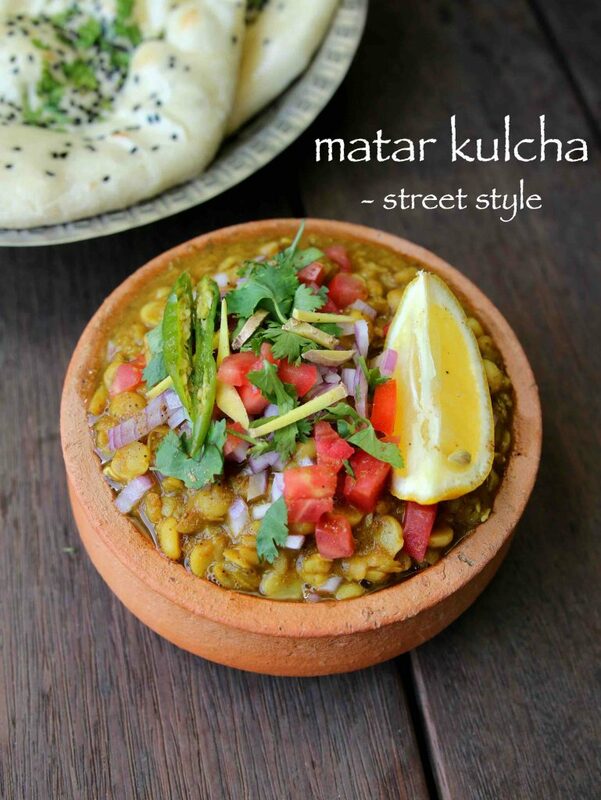 additionally, matar kulcha can be extended to prepare matar kulcha chaat. finally, matar kulcha recipe taste great when served hot.